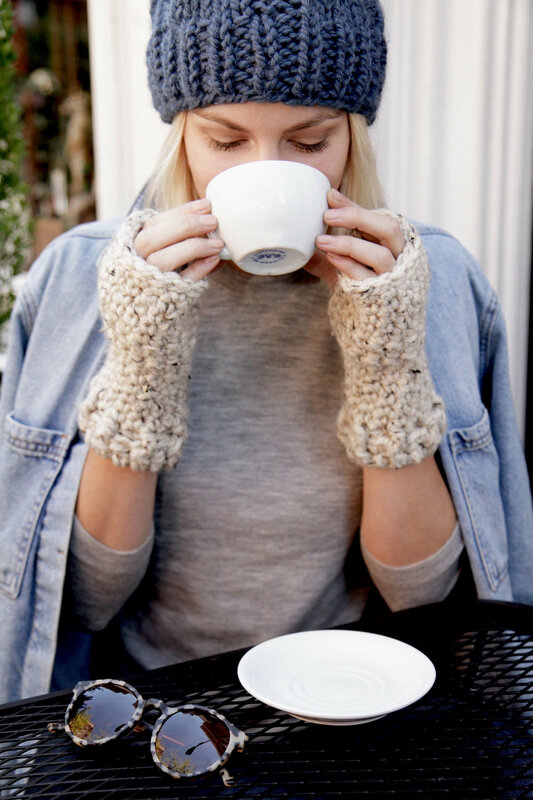 Fight the chill in style this season with the Shoreline Fingerless Gloves. With a subtle ribbing along the cuffs that cover just beyond the wrist, the breeze will stay out of your sleeves. The dense crochet fabric protects against the elements while leaving the fingers free. This is an easy+ level crochet pattern and the techniques involved are single crochet, double crochet, post stitches and working in the round. All Two of Wands patterns are written in standard US terms.